Corresponding author: Reprint requests should be mailed to E. F. Worden at M.S. L-463, Lawrence Livermore Laboratory, Livermore, California 94550. The ionization potential of the neutral plutonium atom, Pu i, has been determined by two- and three-step resonance photoionization observation of the threshold of ionization and of Rydberg series. The Rydberg series were observed by field ionization as series that converge to the first ionization limit and as autoionizing series that converge to the second and to several higher convergence limits. The threshold and Rydberg series were obtained through a number of two- and three-step pathways. The photoionization threshold value for the 239Pu i ionization potential is 48582(30) cm−1, and the more accurate value from the Rydberg series is 48604(1) cm−1 or 6.0262(1) eV. a The conversion factor 8 065.479 cm−1/eV was used to convert from one unit to the other. a Values for 240Pu in Refs. 16 and 17 were corrected by the isotope shifts given in the references to yield the 239Pu values. a Wavelengths and frequencies are for 239Pu. The values in Ref. 17 are for 240Pu. The values in the table were derived from level and isotope shift values in Ref. 17.
b Isotope shift from laser spectroscopy measurement. c The uncertainty of the threshold ionization potential is considerably larger than the deviation given here; see text. a Wavelengths and levels are for 239Pu derived from the 240Pu levels and isotope shifts in Refs. 16 and 17.
a The frequencies are accurate relative values (±0.02 cm−1) obtained by use of fringes from a 14.16-GHz étalon that monitored a portion of the scanning laser; the fringes were recorded simultaneously. 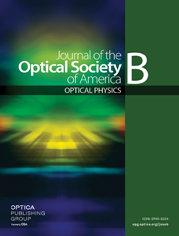 b Frequencies are not accurate absolute frequencies but have an uncertainty of ±1 cm−1 because the frequency scale is based on values from the Jobin–Yvon spectrometer and Pu emission line settings.